Field Leader for Tshopo Province. 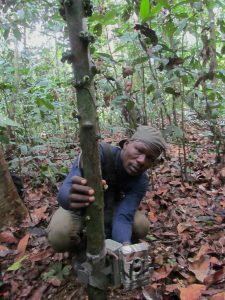 Henri was a high school student in the small town of Wamba in northeastern DR Congo when he first learned about nature conservation. Outreach teams from the Okapi Faunal Reserve occasionally travelled through Wamba to talk about Congo’s endemic forest giraffe, the Okapi, and other protected species. It was at the University of Kisangani that this first interest turned to a passion. He studied Biology and Botany at the University of Kisangani. After graduating he joined the NGO, SOS Nature, of one of his professors, JR Makana. It was during a joint mission of SOS Nature and the TL2 project that he met John and Terese Hart. He started working with them in 2009. 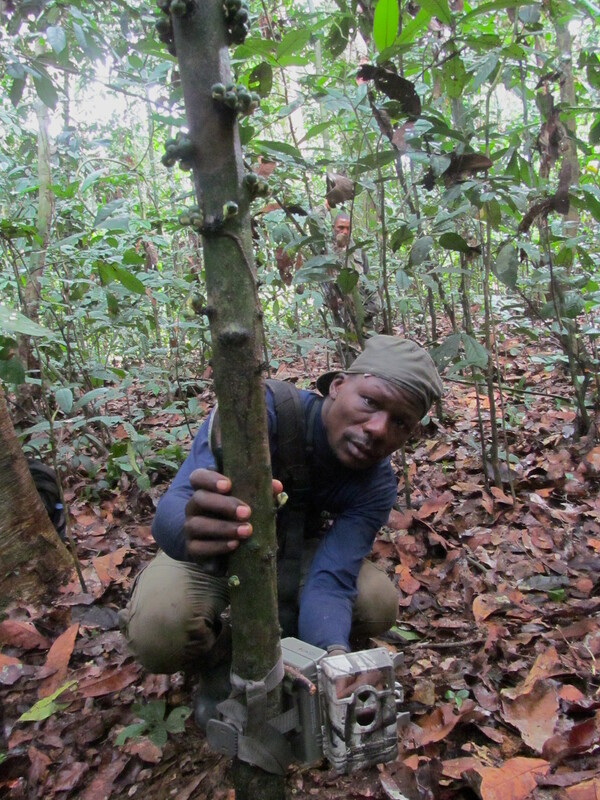 Stationed at the Obenge base and working as part of the monitoring teams Henri learned to move around vast forest spaces with a GPS to guide him. He learned animal sign, how to use cameras, compasses and how to follow scientific protocol. Beside Maurice Emetshu he became familiar with outreach methodology. Most of all he learned to love fieldwork. 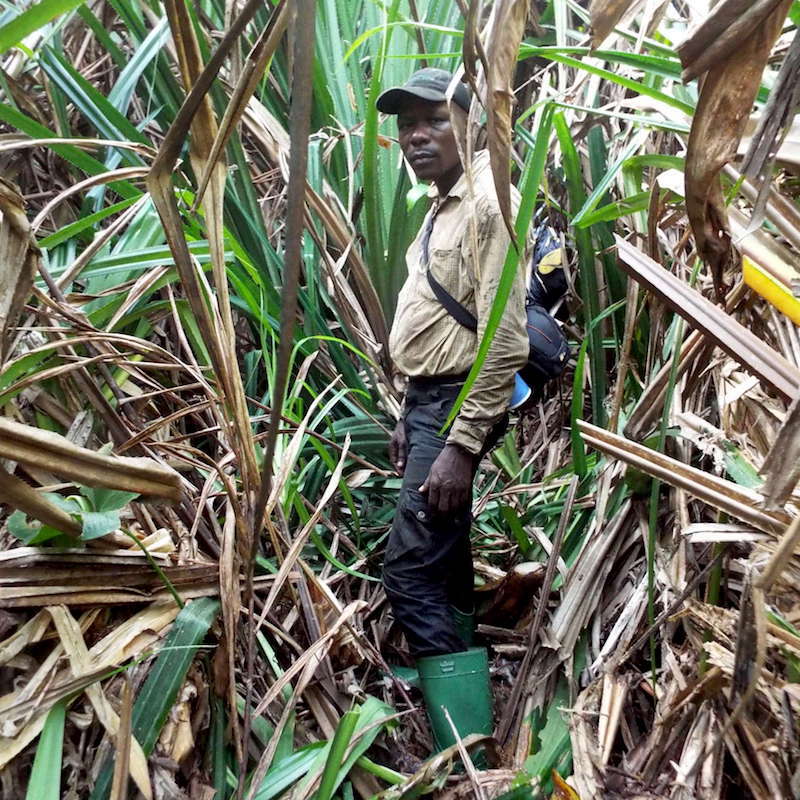 Henri has had two recent opportunities for further training outside of DR Congo. He took part in a field course in the Udzungwa mountains of Tanzania and later he participated in a two year course at Garoua Wildlfe College in Cameroon. 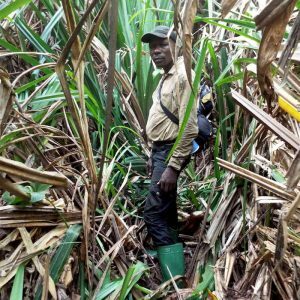 He returned to DR Congo to take a lead role in the third elephant census in the TL2 landscape in 2016. 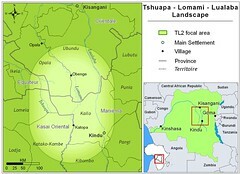 Born in 1980 in the village of Ndudu, in the northeastern forests of Congo, in what is now the province of Haut Uele. His mother was a schoolteacher and his father had a coffee farm. He was the youngest of seven children.